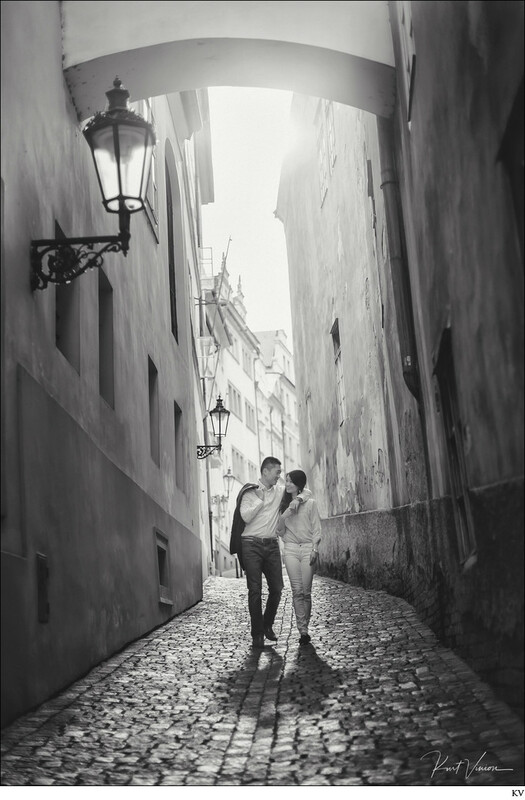 Looking for creative, artistic and beautiful love story photos from your visit to Prague? As every couple is unique we approach them with their ideas and styles in mind. This wonderful couple from New York wanted a more relaxed - no posed look to their images. So with that we spent a few hours simply walking them around on a walking tour of Prague. No posing, just a stroll to the most amazing locations that provide us with an intimate feel to their images. Contact us today for the best in creative & artistic images during your Prague visit. Keywords: authentic engagements (96), authentic moments (438), black and white portraits (3), engagement photos session (57), intimate portraits (84), Prague Engagement (84), Prague lifestyle photos (84), Prague photographer (1440), rad couples (111), street photography Prague (3).